Home center locates and adds Sonos and music devices based on the Silicon Frontier chipset (*)! You are able to stop and start the player, navigate through the current playlist, set volume, control the mute! 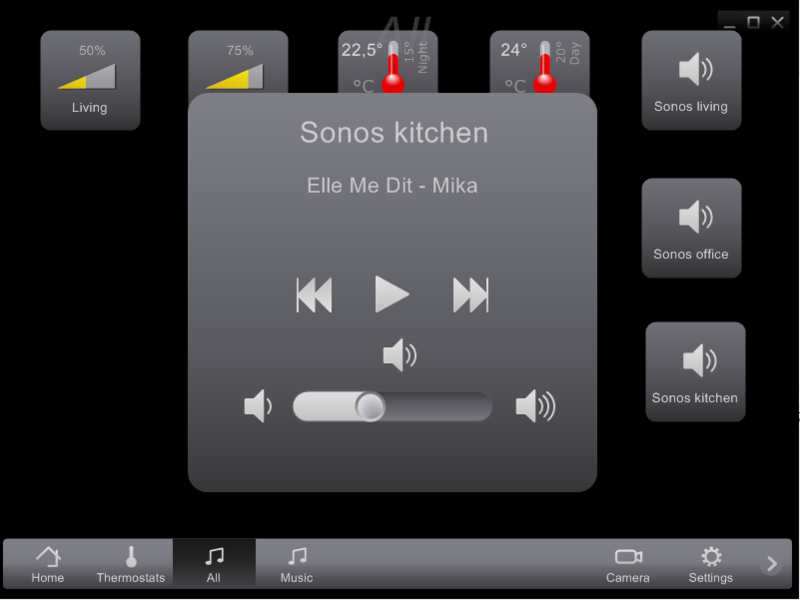 No need to open the Sonos app or other music app for a quick mute when the phone is ringing! 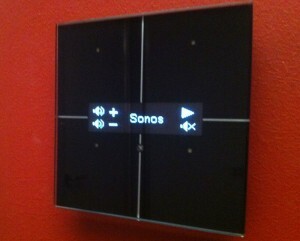 You can also program Home center to operate the music devices via physical buttons in your house. (*) Frontier Silicon supported as from Home center v3.0.0.75. Frontier silicon is leading the digital radio’s and smart audio devices markets. To find out if your music devices will be recognized by Home center: if it can be operated via the Undok app, you can operate it via Home center.